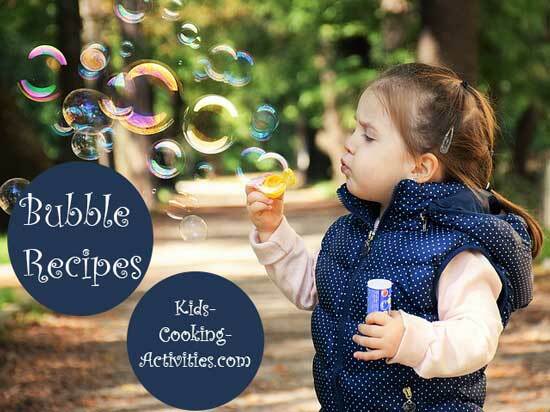 Bubble recipes can be tons of fun for kids and what better way to have a hands on experience then creating your own! We have a few variations of recipes included here. 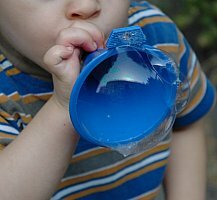 Any way you make homemade bubbles, they are sure to be a kids favorite. Get them involved in the preparing and the mixing of the recipe and playing with the finished product will be as much fun as the preparing. Combine three ingredients into a large container with a lid. Shake well and let sit several hours. Store covered in refrigerator to extend suds shelf life. Allow to warm before using. Mix in cup or old juice can. Mix all ingredients together in container with a lid. Shake well and its time for bubbles. Glycerine, which is called for in some recipes, can be purchased in cake decorating departments. Bend a coat hanger into a loop to make large bubbles. 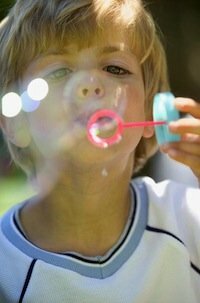 Use funnels, spools, berry baskets, bubble pipes and rings, colanders, to blow your bubbles through. Check out your kitchen drawers for ideas. Pour bubbles into a flat pan if using a large bubble wand. 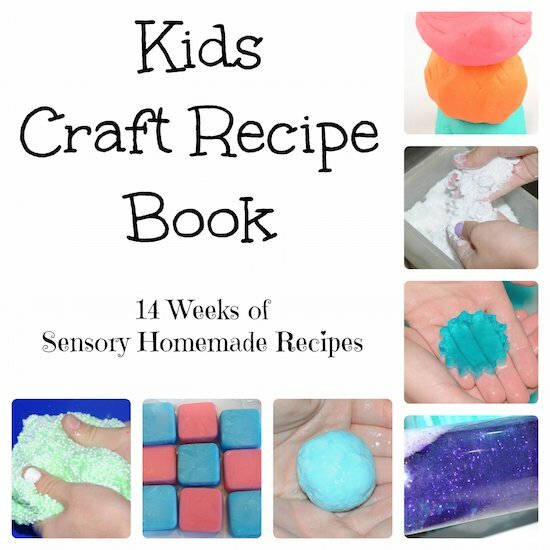 On to making bubbles in the bathtub with bath time recipes.